Zippers are a nice addition to a pillow because when the cover needs a washing, it's easy to remove, cleanse, and replace! And, they're really not that difficult! So, the picture below shows a centered zipper on the left and the pillow on the right has an invisible zipper! This tutorial is to show how to insert a centered zipper. So, when you are cutting your pillow back, you'll take the measurement of the pillow front (16" x 16" for instance), divide the height into 2 (top to bottom...I like my zipper to run horizontally in the middle), and add a half inch for seam allowance (so, my 2 pillow back pieces would be cut at 16" width x 8.5" height. Then, you'll need a zipper about 3 inches shorter than the width. Place pretty sides together and at, what will be, your zipper seam, draw/mark a 1.5" mark (shown below on the right and left edge). Baste the entire zipper seam (at a 1/2" seam allowance). Then, stitch (2.5 stitch length and 1/2" seam allowance) the 1.5" ends that we marked (do not stitch in between the marks other than your basting). Reason: the ends need to be stitched well, the zipper will not lie there; it will lie between the 2 marks...we basted it to keep it straight and will be removing the basting stitch). Iron your seam allowance open. Now, I like to use 1/4" fusible webbing to fuse my zipper to the fabric rather than pins because I feel like it moves all over the place with pins. To use the webbing, tear pieces approximately the length of your zipper and place along either side of the seam allowance (not too close to the seam itself...I'd even say closer to the edge of the seam allowance as shown below). Lay your zipper straight and centered (carefully so as not to move the webbing). And fuse it down with your iron...slowly (but not too slowly...wouldn't want to melt any zipper teeth)! I like to pin (or fuse) the left top zipper flap over the right as that is the way you'll be stitching over it that way (and it adds a little strength to the seam once sewn over). Out of the next 3 pictures, I couldn't tell which was clearest, but, this is how I like to do my zippers using the zipper foot and my Baby Lock. I draw a little mark about a 1/4" from the left edge of the zipper foot (not the base of the foot). I'm pointing to it...but, see the other 2 pictures to see if you can spot the little mark that I drew...that is what I line my zipper tape up with (as shown in the next 3 pictures)! I like to start on the lower right edge...no need to backstitch just yet. Pivot just below the zipper stop...not on it though because that could break your needle! 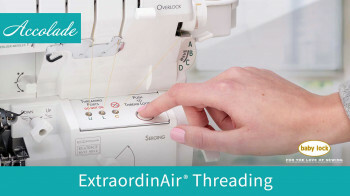 Stitch all the way around and then, backstitch over where you began. 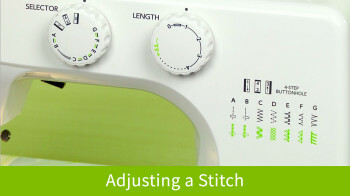 Flip your fabric over and clip (or stitch rip) open your basting stitch...carefully! 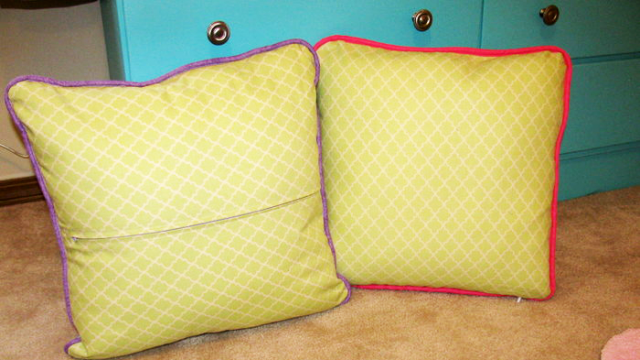 And, there you have it...a simple and pretty centered zipper in the back of your pillow!! Be on the lookout for the invisible zipper tutorial!